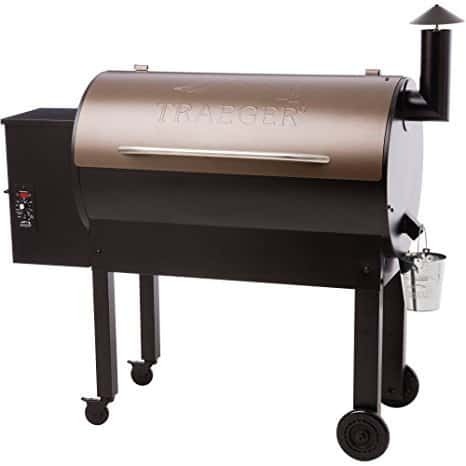 Traeger Lobster rolls are simple, succulent, and the best way to serve up grilled lobster off the grill. With this lobster roll at your fingertips, you can’t help but win at life. Juicy lobster in a mayo sauce and served on a buttery toasted roll. Lobster is the best of the best in my eyes. I love seafood, and lobster is number one of the list. Or near it. We don’t make lobster all that often, but when we do I love a good lobster tail, and then we make a few extras and whip up these easy lobster rolls up the next day. 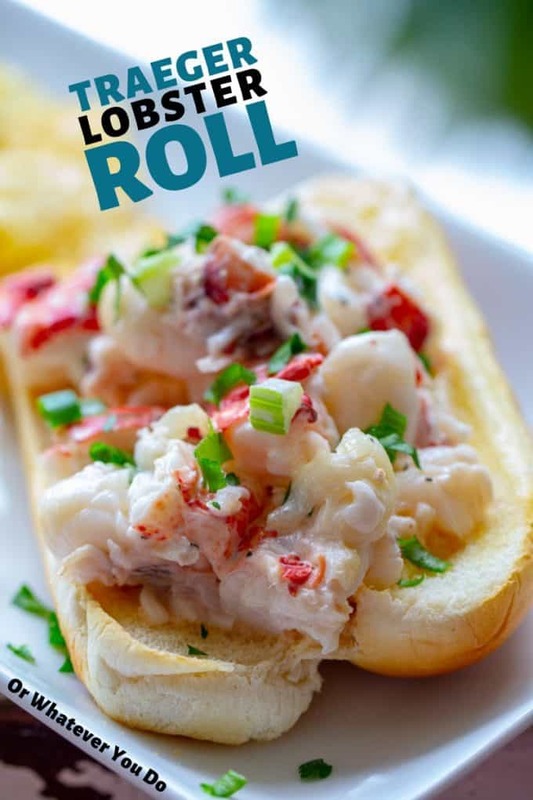 You may find a lot of recipes out there that say they are the best, and that may be true, but in my own experience, this is the one lobster roll recipe that really puts heavy emphasis on ensuring the tender lobster meat really shines. I know it is big of me to say, the best, but trust me I mean it. These lobster rolls are the cream of the crop. The best part of all is that lobster rolls are SO simple to make. You start with cooked lobster meat. 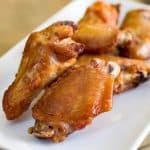 If you don’t have any on hand, then whip up a few tails on the grill and then let it chill in the fridge! 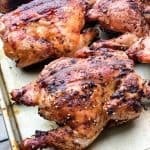 I have a great recipe for Traeger Grilled Lobster Tails here. Dice up your ingredients, stir together, and then pile in on your toasted roll. 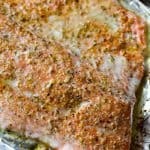 Pair with some salty chips, and you have a lunch or dinner ready in 20 minutes! What Is A Lobster Roll? Lobster rolls are what dreams are made out of. They have fresh chunks of tender lobster meat that is paired with a sauce and then is piled into a buttery, toasted, split-top roll. One single bite makes you feel like you are standing next to the ocean! 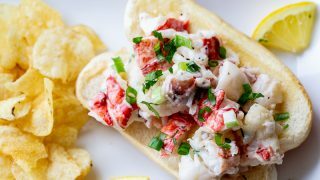 Depending on where you live, you might see different items served with a typical lobster roll. 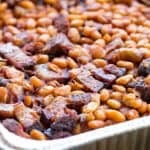 Here are some ideas to give you inspiration for what to serve next to your savory lobster rolls. Salty chips, we like salt and vinegar or just plain. Crispy french fries, there is something comforting about the pairing of these two! Green salad for a lighter side option. Bonus points for whipping up my Greek Freak Dressing! 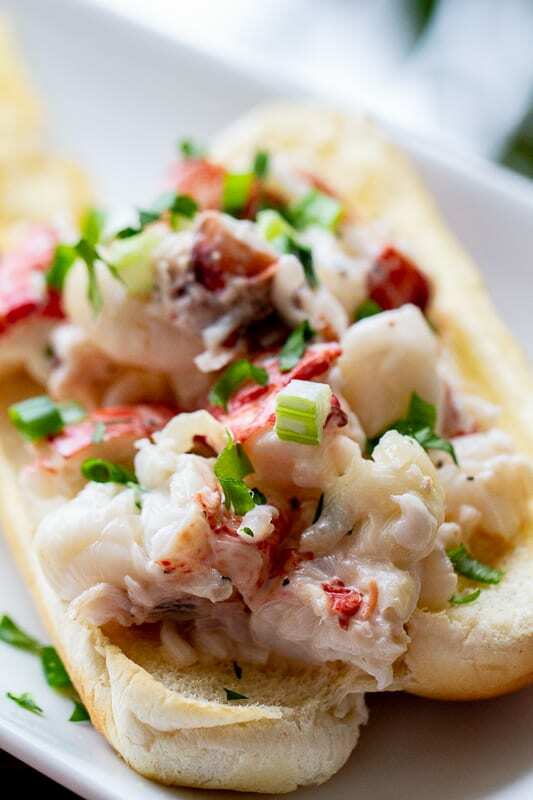 Soup or chowder are both great sides for lobster rolls! Fresh cucumber salad or even a pasta salad. 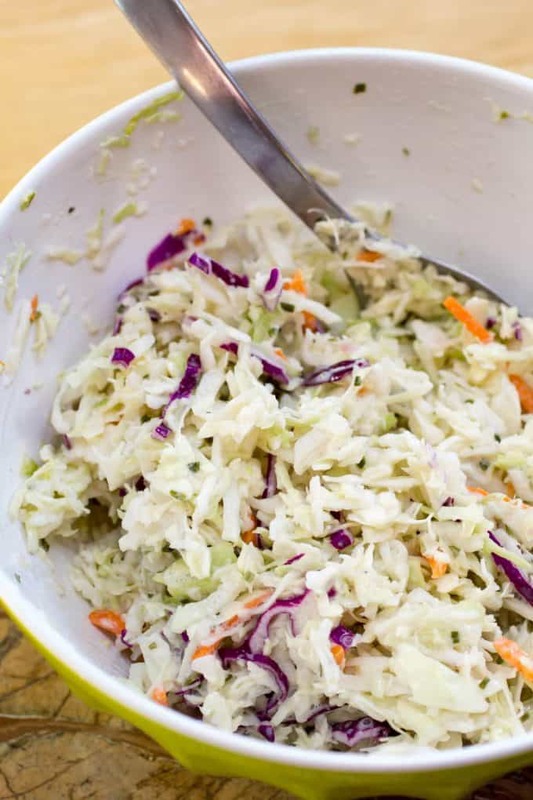 Coleslaw is a true winning side! There are no wrong sides to pair next to your seafood rolls. Find what fits your family and tastebuds and roll with it. Looking for ways to dress up your lobster rolls? 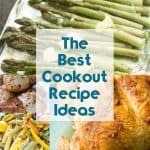 Here are some ideas that many people rave over. 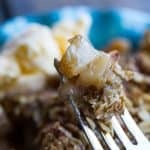 I personally think the recipe is great on its own, but who can really say no to a savory topper? What Kind of Bread Do You Use for Lobster Rolls? You can reach for any type of hoagie style roll that is long like a hot dog bun. Depending on your store, you might find sweet roll styles that will give your lobster rolls a sweetness, or maybe you want to skip the sweet since lobster is a bit sweet by nature. Just look for rolls that are soft when you press on them. You can also step out of the box and take a piece of Texas toast and toast both sides with butter in a skillet. Once it has cooled slightly, you fold it so it mimics a bun. Do You Toast Lobster Roll Buns? Toasting your lobster roll bun is optional, but I recommend it. Having a roll that offers a slight crunch is going to add texture, but also flavor. I can never say no to a toasted bun, no matter what it is being served with! It also helps prevent a soggy bun, which is always a positive in my book. Are Lobster Rolls Served Hot Or Cold? 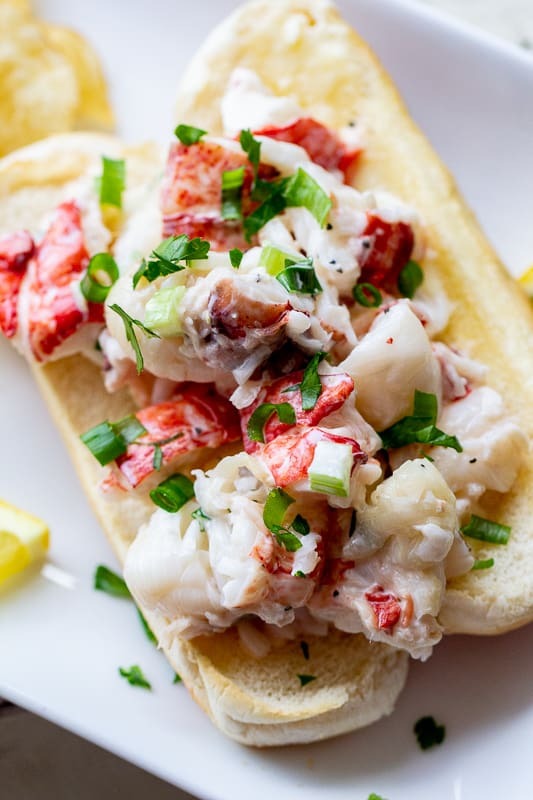 You will find incredible recipes for cold and hot lobster rolls. Cold lobster generally has a mayo-based sauce with celery for freshness and crunch. That’s what we are making here. 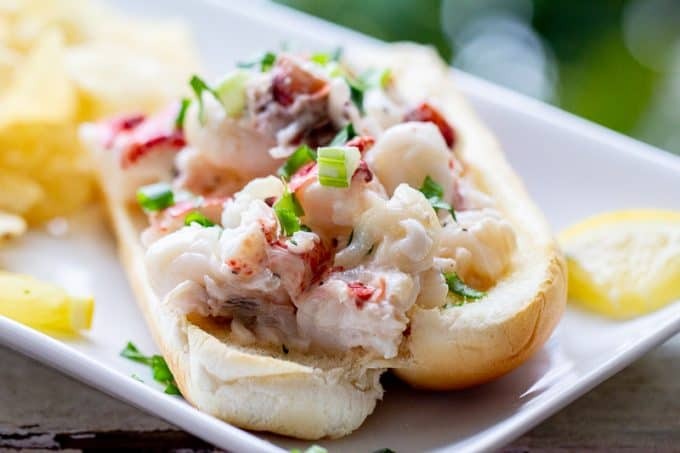 Hot lobster rolls typically are served with a buttery sauce that is more savory and can be a huge compliment to the sweet, tender lobster meat. Can I Buy Pre-Cooked Lobster For These Lobster Rolls? If you are looking to skip the prep of cooking lobster and want to reach for pre-cooked lobster at your store, go for it. Just remember to buy quality lobster. You want the fresh flavor to shine through and stand out in these rolls. Look for pre-cooked lobster in the fridge section of the meat market. If you don’t see it, ask the butcher. That being said, I STRONGLY suggest just cooking some fresh lobster tails yourself. It is simple, and you’ll more likely end up with good texture and not rubbery, tough lobster. Give this incredible lobster roll recipe a try today. 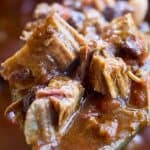 Great for serving your family for a quick and easy weeknight meal, or serve to your guests. Lobster rolls offer a gorgeous presentation value with the bright red colors of the lobster meat. Deliciously bright and tender Traeger Lobster Rolls feature Traeger Grilled Lobster Tails, ALLLLL the lobster meat, and a fresh sauce. Combine the celery, lemon juice, salt, black pepper, mayo, parsley, and green onion in a small bowl. Stir and let sit for 5-10 minutes. 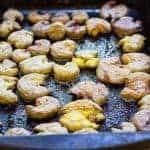 While the sauce is melding, remove the shells from your grilled lobster tails and chop up the lobster into bite-sized pieces. Gently mix the lobster and the sauce together. Butter your buns and toast them in the oven until they are golden brown. Load on the lobster mixture, and serve immediately. Need a great recipe for grilling lobster? I have one here!